Here are six sales from local retailers, manufacturers or suppliers to tempt bargain shoppers in advance of Black Friday and Cyber Monday. 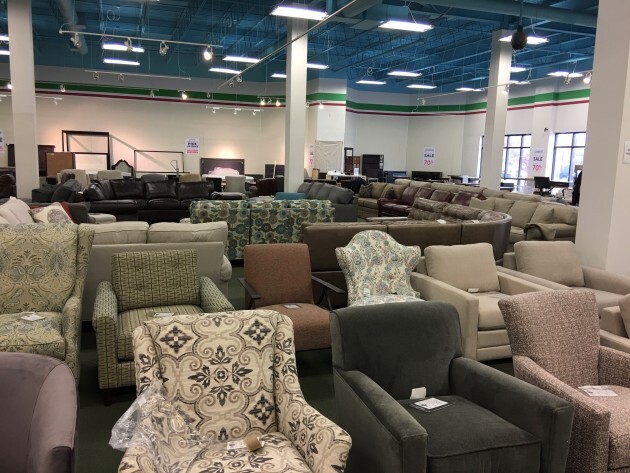 Gabberts warehouse sale: Save 50 to 70 percent on furniture at Gabberts first warehouse sale in several years Saturday and Sunday. It’s several truckloads of living room, dining room, bedroom and patio furniture. Items are floor models, canceled special orders and returns. It’s located in the former Golf Galaxy next to Hom Furniture at 7800 Dupont Av. S. in Bloomington. Gina B greeting card sale: Locally designed greeting cards, journals, gift tags, calendars, recipe cards and more will be sold at discounts of 50 to 80 percent. Only cash and checks will be accepted at the sale being held from Nov. 7 to 9 at 12700 Industrial Park Blvd., Suite 40, Plymouth. Call 763-559-7595. Gage Warehouse Sale: Gage & Gage discounts seasonal gift wrap and boxes, goody bags and ribbon 40 to 80 percent. The sale runs Wednesday through next Sunday, Nov. 16-18 and Nov. 30 through Dec. 2 at 660 Valley Industrial Circle S., Shakopee. Go to www.gagewarehousesale.com. Delish Foods Warehouse Sale: The soup ladies from Delish Gourmet Foods offer their locally made dry soup, cheese ball and smoothie mixes and gourmet popcorn for 40 percent off during the sale Wednesday through next Saturday at the Delish warehouse, 670 Valley Industrial Circle S., Shakopee. Only cash and checks will be accepted. Go to www.delishfoodswarehousesale.com. MyPillow sale: MyPillow also is participating the Shakopee discount weekend, offering sales on discontinued styles of bed and travel pillows and dog beds from Wednesday through next Saturday at its warehouse at 5775 12th Av. E., suite 150, in Shakopee. Dianne's Candles and Cameron's Coffee are not participating this year in the Shakopee sales. Art sale: MHS Licensing isn’t a recognizable name for many, but the Hopkins company is an agent for about 30 artists. Save 30 to 75 percent on throws, mugs, bathroom accessories, gift bags, greeting cards, candles, home decor and art from local wildlife artists Joe, Robert and James Hautman. The sale will be held Thursday in the first-floor cafeteria at Crescent Ridge Corporate Center, 11100 Wayzata Blvd., Hopkins. Cash and checks only.